Sarah White and Thomas "Ray" Fluker met in their early years, as students at Roanoke College. They had a class together, but didn't spend much time with one another during their time at school. Thanks to social media they were able to stay connected after gradution, and after ten years, two career changes, and a couple of gentle denials on Sarah's end, the two found themselves both in the same place at the same time. Back in Salem, the two of them got together for dinner at a Roanoke College staple, followed by a walk through campus, which landed the couple at a set of rocking chairs, where they sat and talked for hours. Ray and Sarah would revisit these rocking chairs when he asked her to spend the rest of her life with him, to the tune of "Question" by the Old 97. 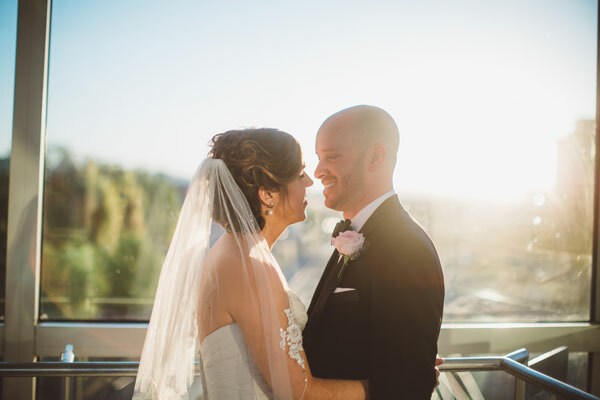 The two wanted their wedding day to be romantic, classic, and fun. 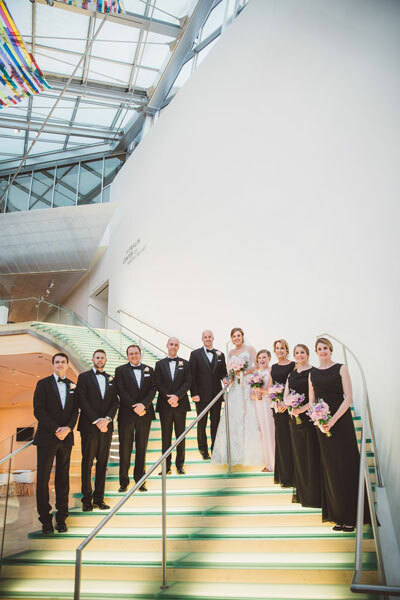 The event began with a beautiful ceremony at the Taubman, with rose petals lining the aisles. 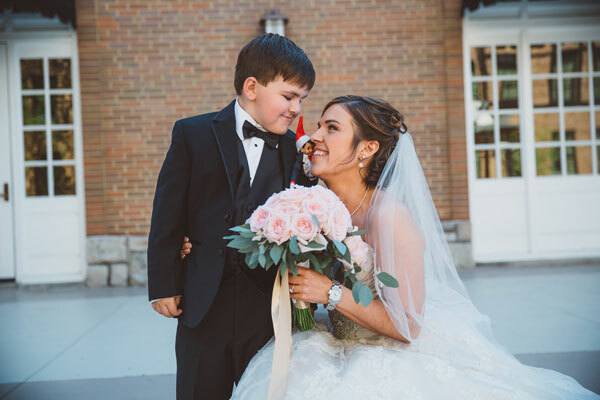 The ceremony paid tribute not only to their love, but also to Sarah's parents. 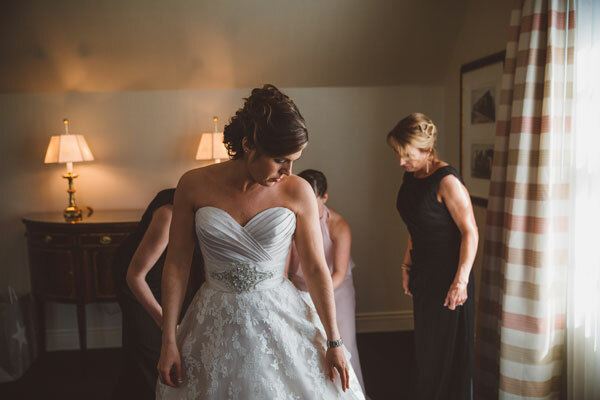 Sarah wore a piece of her mother's wedding dress, sewn into her own, and she wore the pearls that her father had gifted her mother on their first wedding anniversary. 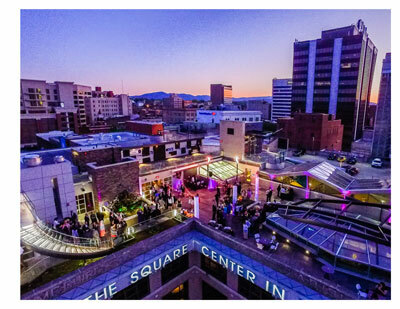 The reception was held on the roof of the Center in The Square, where they enjoyed each other, their friends, and their family, with a delightful variety of southern comfort food, such as chicken and waffles, mac and cheese, and lemonade. Sarah's and Ray's favorite part of the night was standing on that roof top surrounded by their friends and family. 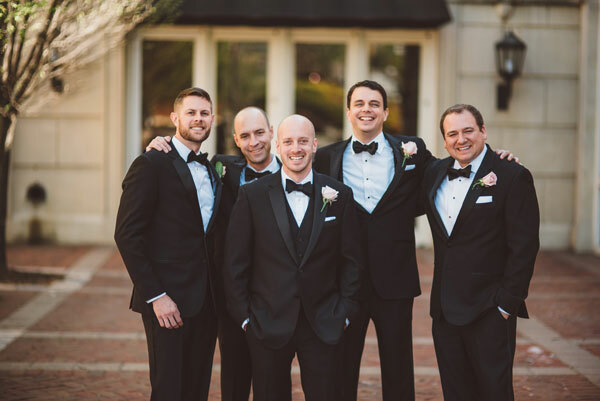 Their wedding was a romantic celebration of love and friendship. 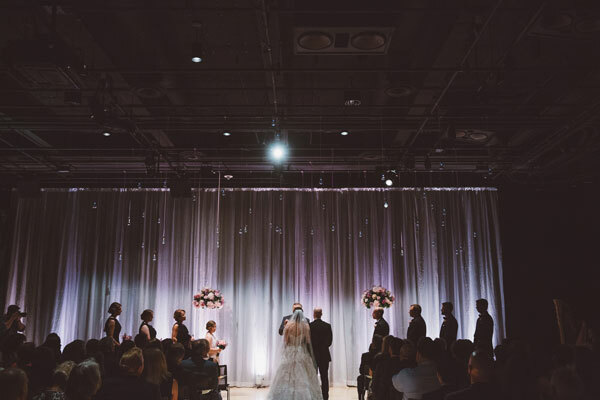 The perfect evening, starting with a classic ceremony, and ending with a fun roof-top party with the perfect view to start the rest of their lives together. A view they can look back on for years to come. As a surprise for Sarah, Ray set up for a drone to capture video and photographs of the reception. 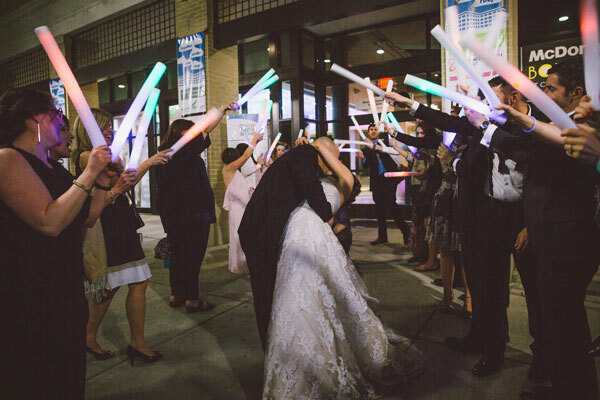 This was a guest favorite, and sure to be a fun way to revisit their wedding in the years to come. 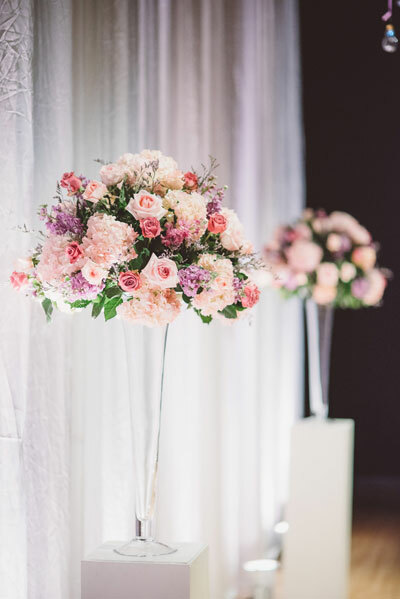 Make sure to see more of the Fluker Wedding on page 40 of bridebook! Drone: Autonomous Flight Technologies, Inc.